"Once used as a ceremonial spot for the followers of a secretive religious sect, these are the underground caves offering safe haven after leaders of the free world brutally dismantled the group's power base. 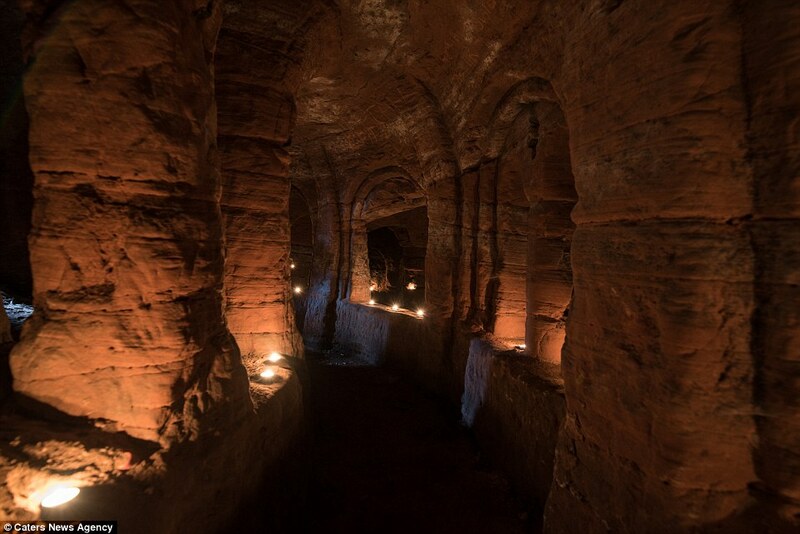 The caves in Shropshire were once a place of pilgrimage and worship for followers of the Knights Templar, a feared fighting force during the Crusades who built an international power base on their reputation and spoils. The untouched caverns date back to a time when the Knights were prominent before King Philip IV of France, fearful of their power and deeply in their debt, attempted to dismantle the renowned group. 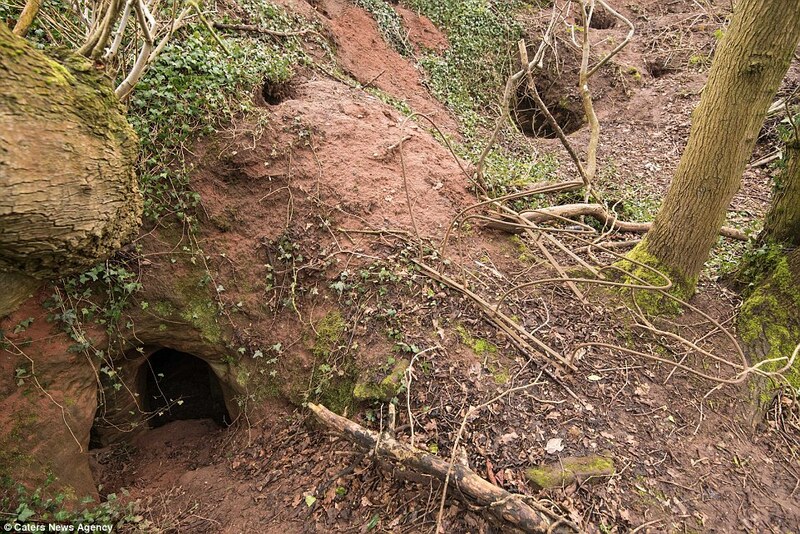 Many were tortured into confessions and burnt at the stake in order to publicly discredit them, but after they were literally forced underground, caves such as those in Shropshire offered haven to members and followers." "The Knights Templar were a unique combination of knight and monk, a holy militia that sprang up in the 12th century. Their founder was a nobleman from the Champagne region, Hugh de Payens, who, in Jerusalem in 1119 nominated eight of his companions to safeguard pilgrims visiting the Holy Land from attacks by brigands and Saracen pirates. The order’s full name was the Poor Fellow Soldiers of Christ and of the Temple of Solomon in recognition of their quarters next to the Temple in Jerusalem — hence the name by which they became famous. In 1129, the Knights were officially recognised by the Pope. They then followed religious rules, with vows of poverty, chastity and obedience — and each man pledged himself ready to die for his faith. They also adopted their distinctive uniform, a white mantle with a red cross. Together with the Knights Hospitallers, who looked after sick pilgrims, the Knights Templar became the permanent defenders of the Latin settlements in the Middle East, increasingly endowed with castles and fiefs. By 1180, there were some 600 knights in Jerusalem, Tripoli and Antioch. Over time, they turned into a chivalric order of warrior monks who fought with distinction in the Crusades. They became widely respected for their bravery in battle against Muslims, but even more for their astonishing ability to accumulate wealth as, in effect, a private bank. A pilgrim, afraid of being robbed on his hazardous trip to the Middle East, would leave a cash deposit at Temple Church in the City of London — the English headquarters of the Knights Templar, which was consecrated in 1185 and still stands today. He would then carry a letter of credit, like travellers’ cheques, and in Jerusalem he would be able to withdraw his funds. ‘Their influence on modern banking is perhaps their best legacy,’ says James Jackson, author of Perdition: The Crusaders’ Last Stand. ‘My word is my bond is, in fact, a phrase borrowed from the Templars. Their probity was highly regarded.’"